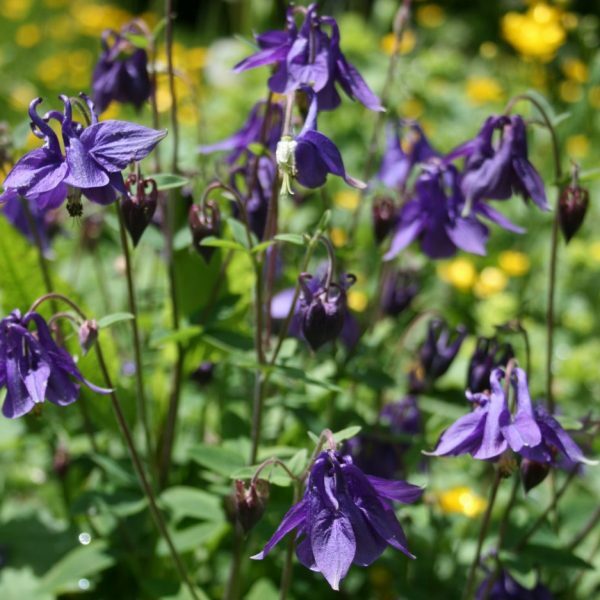 This also prosaically called Granny’s Bonnets, due to the shape of its purple nodding flowers. This is the beautiful wild species that sometimes thrives in our hedgerows, and not an ‘improved’ modern cultivar. It prefers semi shade but will grow in sun.